We had 70' of modules, joined up in a U-shape at the Hilltop meet yesterday, and by and large, it worked excellently. Thanks to dispatcher Lloyd-Jones for co-ordinating things. Computer-generated switch lists with a printer again make such a difference. Three pictures appended, taken on Rob Mallett's Fort Ross modules. Hope to be there in December, although we'll be going loopy that day I guess? hi all, it appears that our modular antics are being noticed in other parts of the world. I found a referal to one of Mike's videos from our most recent operating session in January, at Big Blue - The Gauge forum. I replied to the post and have shamelessly plugged the region. Perhaps a few potential members out there, as The gauge has some UK based members too. torikoos wrote: hi all, it appears that our modular antics are being noticed in other parts of the world. I found a referal to one of Mike's videos from our most recent operating session in January, at Big Blue - The Gauge forum. I replied to the post and have shamelessly plugged the region. Ah ok Brian. I don't frequent RM web too often, the site seems to load very sluggish on my machines. Thanks for posting the other links there too. As you said, gotta do what you gotta do. Did I see correctly that it was your first ever post there despite signing up a couple of years ago? torikoos wrote: Ah ok Brian. I don't frequent RM web too often, the site seems to load very sluggish on my machines. Indeed. Can't remember why I joined; never felt the need to post until now. 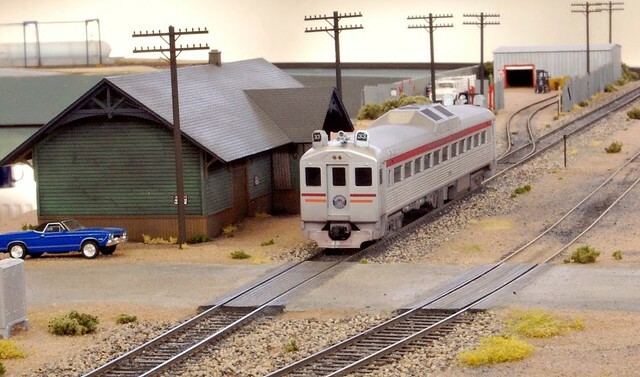 Always useful to show our stuff off to a big US model railroad forum!